Yes I know I've been absent for the better part of a month. Not because I haven't been writing, but because I've been manning and maintaining crazy on Facebook and other sites to whip the lovelies in my region to a frenzy so that they will hopefully write their fifty k goal this month. 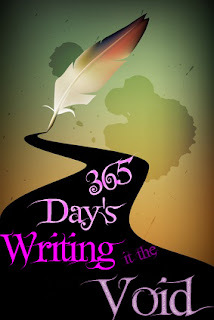 In the days before the start of NaNoWriMo I was editing, and didn't have to extra energy to write, even a blog post. I at the beginning of the month had a biopsy that was more painful than I thought it would be. Since then I've been writing to catch up and get ahead. I would have finished early but then I got depressed again so I don't know what's in store for my words or word count. I'm trying my best every day to motivate the group. But I myself haven't had much motivation. I'm in constant pain and I hope that as this lessons I might get the ambition again. Other then that my story is going well. The character is a typical teen who talks way too much in her head about the weird stuff that comes to a teenager. I'm hoping to get it done soon but I'm only 30k into it and realizing that this short story turned 24 book arc also has an annoying feature of being a long book that is supposed to be a short one. We will see what happens. I will keep you updated. I'm going to try and get back into the updating every day like I'm supposed to be. I guess the process will be a little longer then the challenge had originally been intend. Thank you for listening. I have another topic to write about probably tomorrow I'm going to draft it up. Tonight I'm going to cuddle with my kid she misses me. Goals for tomorrow start writing again and stay off the computer it's eating up my day. I want to get this one finished and then work on another book. and I think that not keeping up on my blog is a part of that.